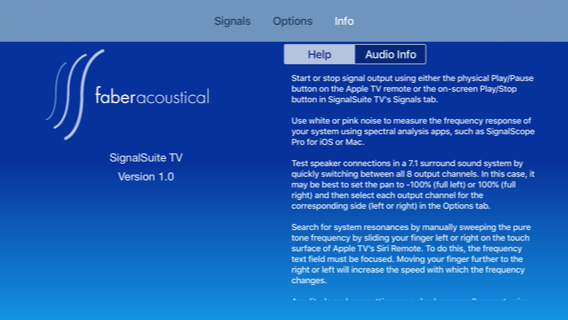 Use SignalSuite TV’s stereo test signal generator on your 4th generation Apple TV to help set up, test and optimize your A/V audio system. 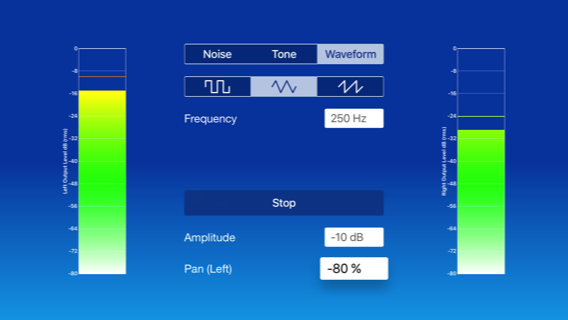 SignalSuite TV generates white noise, pink noise and pure tones in addition to square, triangle, and sawtooth waveforms. 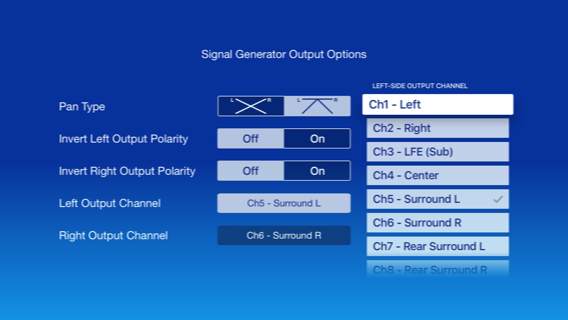 Signals can be panned between two (left and right) audio channels, and any channel in up to 8-channel surround sound audio systems can be assigned to either the left or right output. 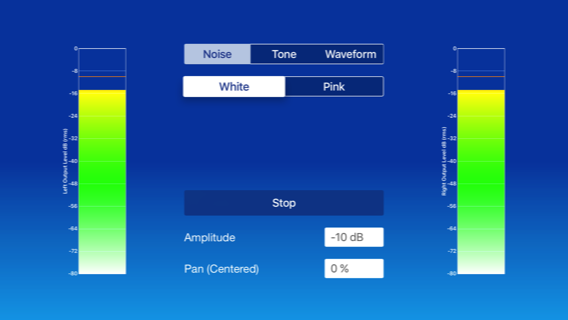 Use white or pink noise to measure the frequency response of your system using spectral analysis apps, such as SignalScope Pro for iOS or Mac. Test speaker connections in a 7.1 surround sound system by quickly switching between all 8 output channels. 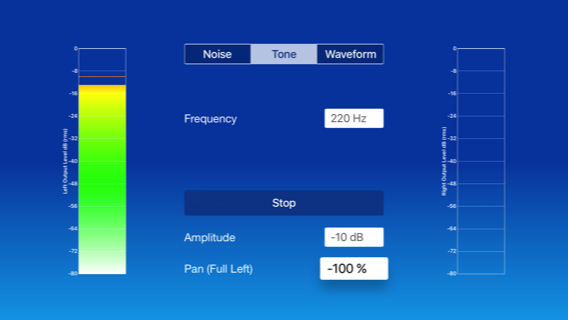 Search for system resonances by manually sweeping the pure tone frequency by sliding your finger left or right on the touch surface of Apple TV’s Siri Remote. Amplitude and pan settings can also be manually swept using touch gestures when the corresponding text field is focused by the remote. Clicking on the focused text field will bring up the keyboard screen so you can enter an arbitrary value in the text field. Note: Working with multi-channel A/V systems requires that Apple TV’s audio Surround Sound setting be set to “Auto” and that the A/V receiver be properly configured for a multi-channel source.